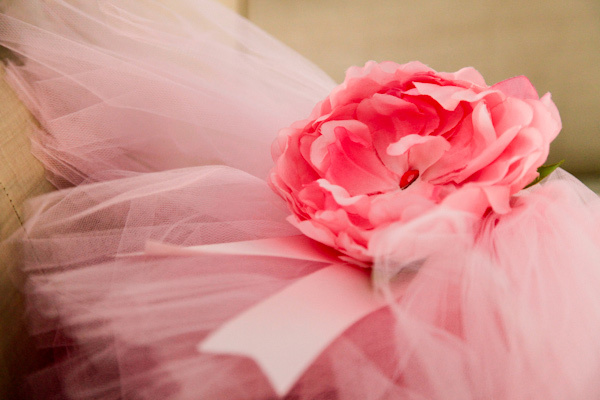 Choosing a theme can be the trickiest part of planning a birthday. 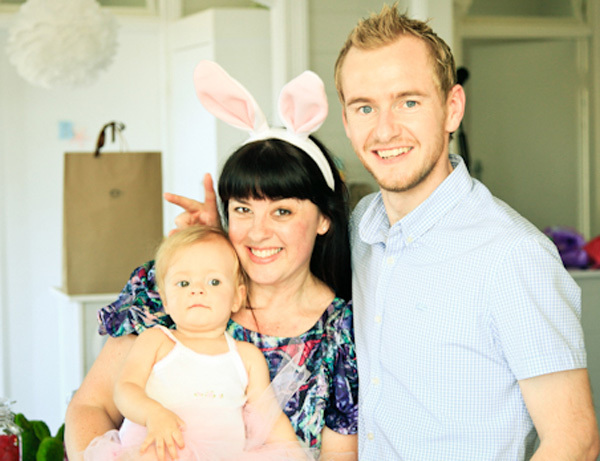 Some parents dither and agonise for months, But when baby Violet arrived on Easter last year, her mum knew in an instant what her daughter’s first birthday party would be! Hippety-hop with us straight to Violet’s Hunny Bunny birthday, complete with pretty bunnies of all shapes and varieties. 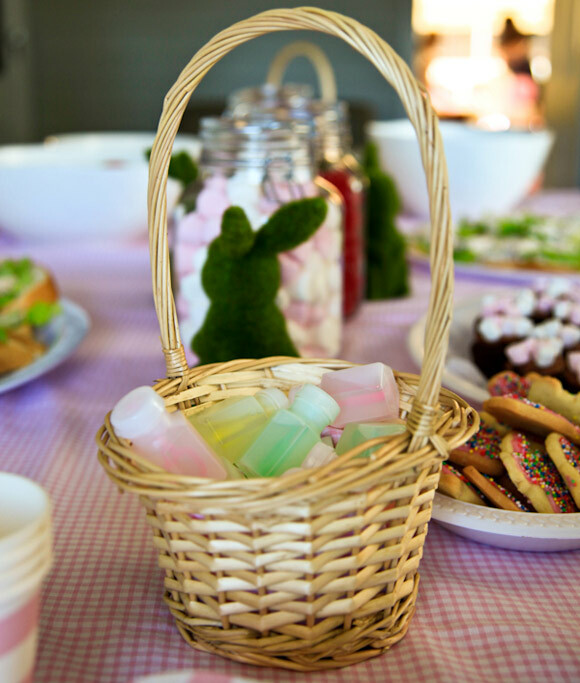 Easter is a time for picnics and that’s just what mum Sarah planned for her daughter’s special day. This is a party where countless little details work together to create a drop-dead gorgeous celebration. 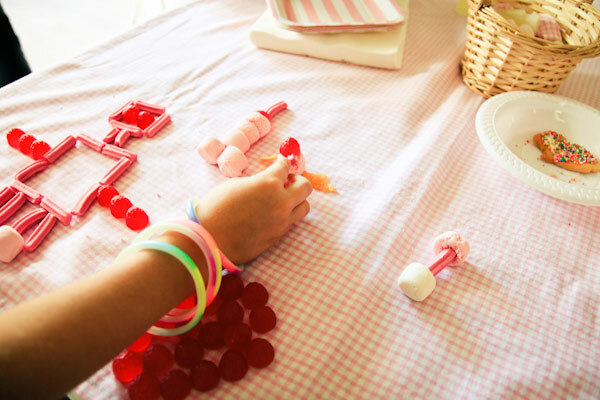 So cue the pink and gingham picnic blankets and a whole plethora of pink and white decorations, inspired by the pink and white shades of bunny ears. (Obvious now, that colour scheme, when you think about it, isn’t it). 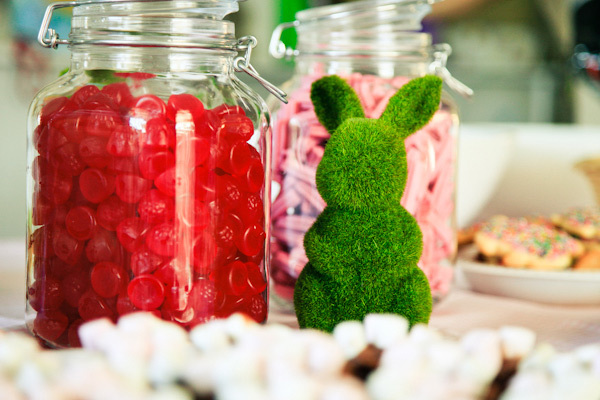 We adore the grass bunnies that Sarah found at Love to Celebrate to decorate her party table, with its oversized pickle jars full of pink and white marshmallows, musk sticks and ruby-red raspberries for contrast. Sarah tells us she didn’t quite realise how many bags of lollies it would take to fill her jars, sourced from Peters of Kensington. 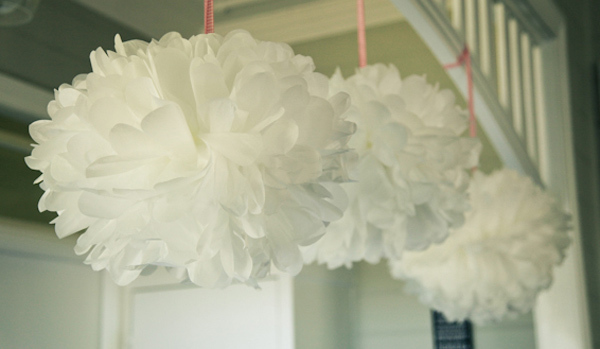 White fluffy pompoms – bunny tails to the little guests and another Love to Celebrate find – were suspended from the ceilings with pink gingham ribbon. Sarah and husband Phil slaved for three nights to make the Mifffy-esque birthday cake and didn’t finish decorating it until two in the morning on the day of the party! How’s that for parental dedication. 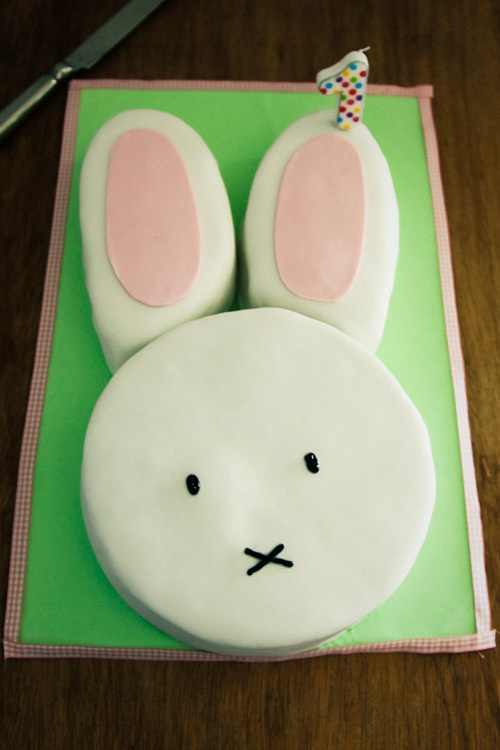 It was a carrot cake (what else, we ask, would bunnies eat) finished with scrumdiddlyumptious white chocolate ganache and royal icing, using the easy-to-follow recipes from Planet Cake. We like how Sarah used pale green icing to line the cake board – an idea plucked from the Planet Cake book – and finished the whole thing with pink gingham ribbon to match the other pretty party embellishments. Guests munched on gourmet sandwiches, mini quiches, watermelon, strawberries and the usual party fare of pies and sausage rolls, while the kids were also treated to home-baked bunny biscuits. Bunny hopping competitions and an Easter egg hunt took care of the games, along with edible artworks made from the contents of those giant lolly jars! 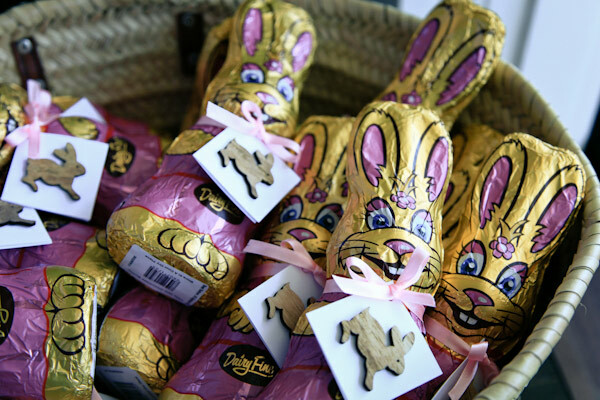 Rather than the usual party bags, guests took home pink chocolate bunnies decorated with handmade thank you cards. Sweet! 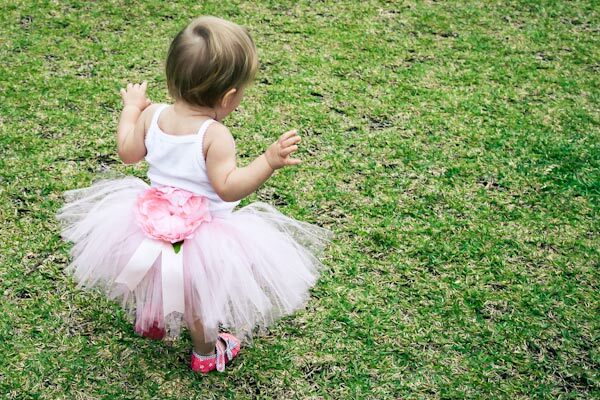 Of course, Violet stole the show in a beautiful pink tutu from Precious Lil Things, a special birthday gift from her doting grandmother. Here she is with her beaming parents on her extra-special day.